Protect your table with these super-cool SNES Coasters. 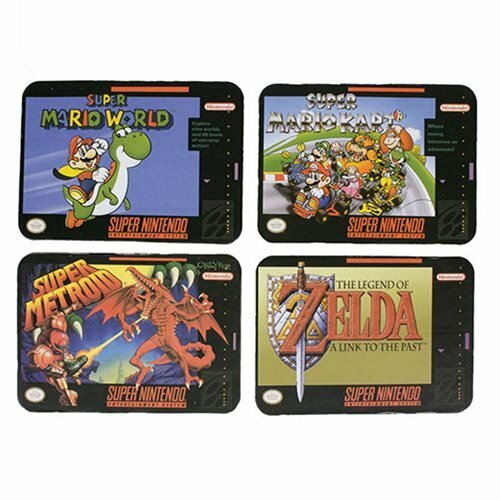 The Super Nintendo SNES Cartridge Coasters 4-Pack is the perfect gift for gamers. 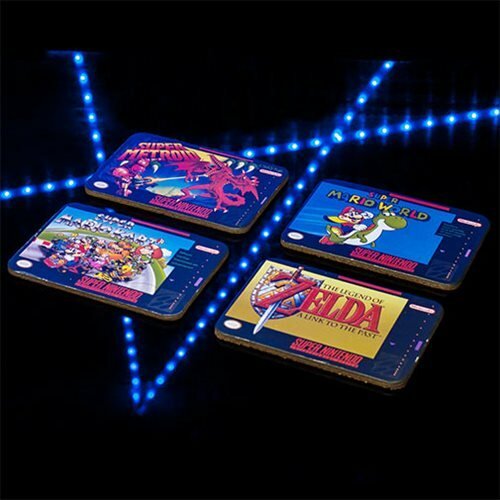 These fantastic coasters are in the shape and style of classic SNES game boxes. 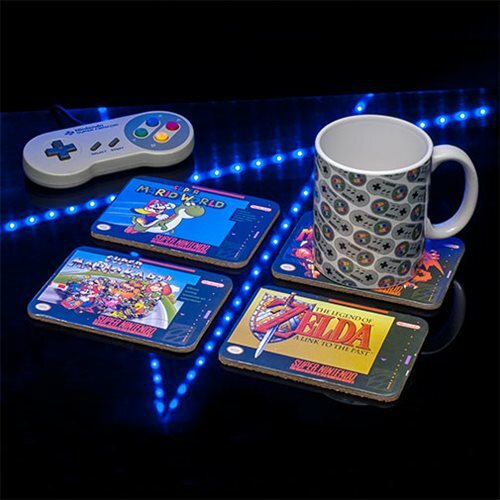 Impress your friends with these wicked retro coasters that feature some of the SNES's most iconic games including The Legend of Zelda - A Link to the Past, Super Mario Kart and Super Metroid. 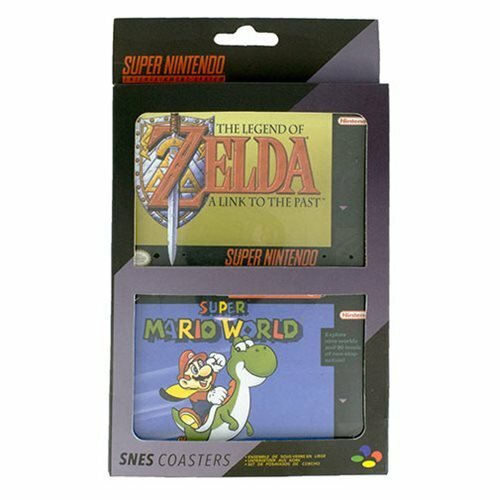 This pack contains 4 cork-backed coasters that all feature stylish SNES game designs.